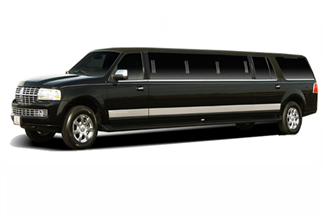 The classic stretch limousine black or white in color. 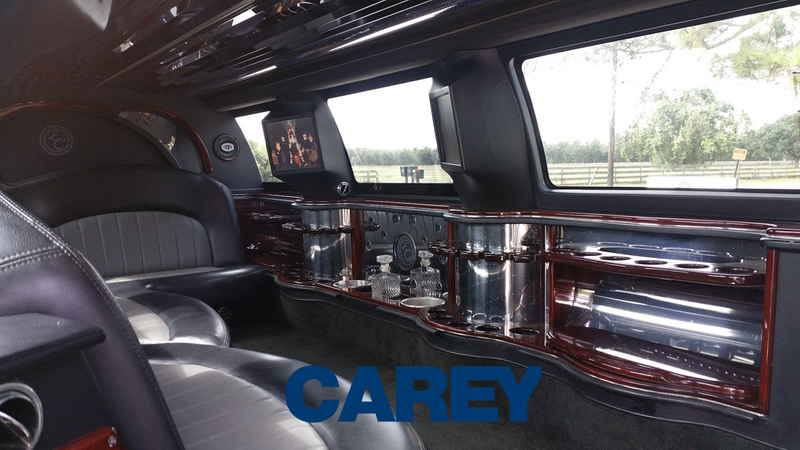 Even with the increasing prevalence of your regular sedans and suvs for routine transfer or liveries, the sleek, elongated form of the suv stretch limousine still attracts clients for special occasions. 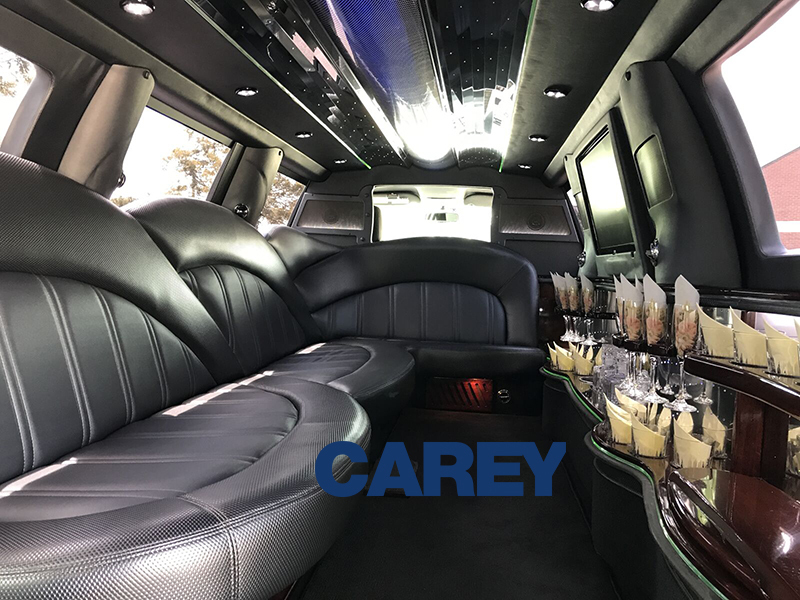 Now commonly booked for weddings, funerals and that special night on the town, the stretch limousine is also available for airport transfers. 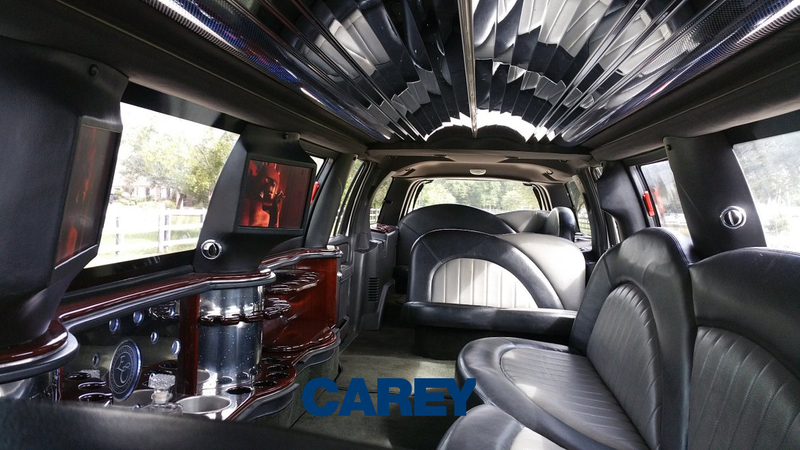 It is important to keep in mind, however, that the stretch limousines have no more luggage capacity than our standard suvs, as nothing more than hand luggage can be stowed in the seating area of the vehicles due to safety regulations. We have stretches in three sizes and passenger capacities. Our smaller option can seat up to 10 passengers but is most comfortable for up to 9 people. A larger vehicle for up to 12 passengers is also available the 14 passenger, though it is most comfortable for 13 people. These vehicles can only hold up to six large bags and two carry-ons depending on vehicle make. All of our vehicles are stocked with candies, chilled bottle water, tissue, tablets, and free wifi upon advance request.